Provide Technology and strategic support for small to medium sized Firms in and around London at competitive rates. - Experienced Technical Consultant - Prince II accredited...Read moreProvide Technology and strategic support for small to medium sized Firms in and around London at competitive rates. - Proven abilities installing, maintaining and updating applications in a LAN and WAN environment. - Wide ranging IT knowledge from general LAN/WAN set-up through to configuration of products and management of internal networks. - Proven capability to rapidly learn any IT environment and optimize its utilization. - Self motivated and capable of dealing with complex customer facing issues, working individually or as part of a team. Summary: I have over 20 Years of experience in the IT field. Starting as a Customer Engineer for a top 5 computer manufacturer, moving on to being an IT Manager and then a consultant for one of the two top legal Practice Management System vendors and then moving on to be an Infrastructure Specialist for a leading law firm. I now work for myself managing the networks, and consulting, for some City of London based firms. Description: Moved entire Network from old to new Premises. Description: Design and produce Website. Supply SEO for 1 Year. Description: We provide bespoke Technology Support services to SME's in the London Area. We act on behalf of our clients on all technology related matters as required. Our role covers everything from simple break-fix, through to server and network spec and installation. We also perform MS SQL and Citrix Server optimisation and tuning as well as Altiris installation and configuration. Additionally we provide support to some large iManage and Kwiktag users also we support websites and internet strategies for some of our clients. 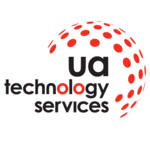 UA Technology Services is part of a larger entity (Unique Automation) which gives us access to a wide range of skills as required, without the need to maintain a large staff, hence our costs are low (which is beneficial for our clients). Description: Supply and install home automation products. We specialise in bathroom automation. We have developed the worlds only fully automated bath management system. We integrate with the leading home automation systems from Crestron and AMX and have iPhone and PC apps. Description: Primarily supported SME's in the London area with their technology issues. Additionally we provide support to some large iManage and Kwiktag users also we support websites and internet strategies for some of our clients. Description: Test and develop infrastructure projects. Recommend new Technology. Investigate and recommend future trends. Act as technical lead on projects. I have designed, implemented and supported a 10 server Citrix Farm that is used for remote desktop access (Web based) and publishes financial applications for CMS’s overseas offices. In this process I gained experience of Altiris Deployment Server, Citrix Web interface and Juniper SSL solutions. Description: Providing consultancy and support for Solutions 6’s CMS OPEN clients. Specifying, installing and supporting MS SQL servers. Managing Solution 6’s CMS OPEN internal network. I originally joined Quintec International as IT Manager. The firm was the UK distributor for PC DOCS DOCSOPEN at the time. Quintec was purchased by PC DOCS and I moved into the new City office as IT Manager and Technical Consultant for the CMS OPEN Practice Management System. During this time I had to a, Build the network for a green field site, b, Integrate the network I had built with the PC DOCS Group WAN, c, Move the whole office infrastructure twice. The firm was purchased by Hummingbird Inc and the CMS OPEN business unit was sold on to Solution 6. Since my departure the CMS OPEN business unit has been sold on and is now called Aderant. Various Professional Courses also Undertaken. Details available on request. Fix windows 7 - errors - corrupted files that needs to be manually replaced! Fast and high quality work! I need an RFID expert. Went above and beyond what I asked for. Highly skilled and professional. Very efficient and solved problem with remote access. Cosma was extremely helpful and provided a much needed solution to the issue at hand. He communicated effectively and in language that I understood.